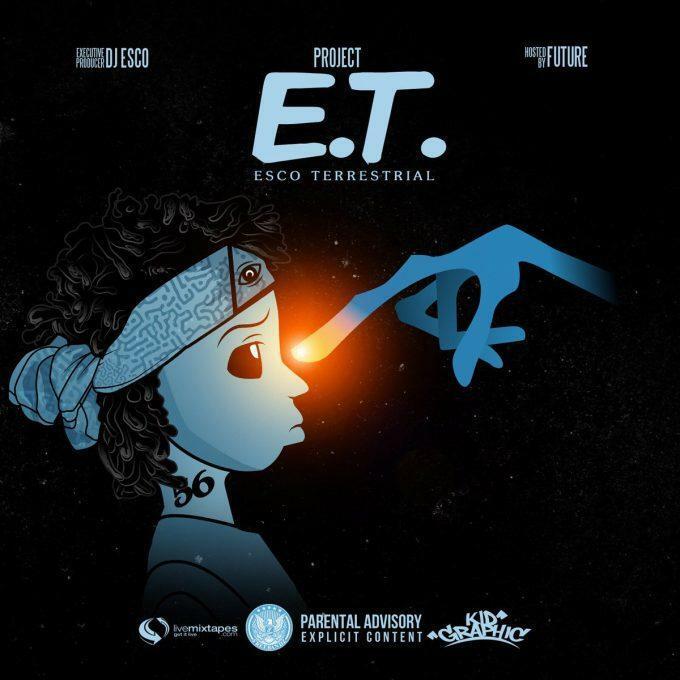 Future taps Drake and 2 Chainz for "100it Racks," a monster collab off Esco's "Project E.T." Project E.T. has officially landed, and it comes packed with otherworldly collaborations. Future had been quiet for some time after overwhelming the game with two consecutive projects to start the year. E.T. is technically Esco's mixtape, but ultimately, it's a compilation of unexpected Future collabs that wouldn't have fit in with his past few -- mostly featureless -- releases. There's a track with Future and Uzi, and another with him and Rich Homie Quan, but the biggest collab on the tape happens to be one with a less surprising lineup. "100it Racks" features Drake and 2 Chainz and is produced by Esco and Southside. There's a solid history among all three artists (and the producers, too), though they've somehow never appeared on the same track. Of course, it was only a matter of time before FBG x OVO provided a new anthem in order to properly commence Summer '16. Expect the track to be a staple of Drake and Future's upcoming joint tour. "100it Racks" is a mean-muggin' hustler's anthem of the most compelling variety. There'll be mountains of paper stuck to the floor of Magic City when Esco debuts this one next Monday night. Future Drake 2 Chainz DJ Esco Southside project et E.T.